Though the academic disciplines behind STEM have been around for centuries, the acronym has become increasingly popular in the last decade. STEM stands for the fields of science, technology, engineering, and math. And while the acronym is often discussed when referring to college majors and professions, it’s slowly becoming a buzzword in early childhood learning programs. In fact, researchers from around the world have discovered a powerful link between STEM and early childhood education programs. Studies show that STEM skills are best taught early in life, and that by learning STEM skills children are better prepared for school and future careers in any field. Here’s how this seemly simple acronym is making a name in elementary schools. As any parent knows, while children are born with an innate sense of curiosity and discovery, unless nurtured and developed, these skills fade with age. How many adults wish that they could regain the curiosity and creativity that once defined their childhood? Fortunately, the right early childhood STEM program can further develop a child’s unique desire to “draw conclusions” and discover meaning. These programs provide the structure kids need to develop STEM skills like spatial reasoning, sequencing (“if, then” thinking), problem solving, teamwork, and creativity. And the best programs mask the educational benefits with a heavy dose of fun. By engaging girls at a young age before social “norms” and beliefs set in, girls can gain confidence in their STEM skills and develop an interest before they know what subjects are “for girls.” Plus, at such a young age both girls and boys can try new subjects before the fear of being wrong materializes. Early childhood STEM education provides a safe and inviting environment that engages everyone. Students who develop an interest in STEM subjects as children are more likely to pursue these fields later in life. In fact, high-quality early childhood education may be an important factor in preparing students for the one million STEM jobs that will go unfilled by the year 2020. Investing in early childhood STEM programs ensures that more students will be eligible to continue their studies in the future. But these programs alone can’t stop the “leak in the pipeline,” a phrase that’s used to describe how interest in STEM subjects falls sharply as a child progresses in school. Changing gender stereotypes, involving more people of color, and nurturing STEM interests at all ages will help combat that leak. Most public schools in America focus on literacy instead of science. While science and mathematics are taught as part of the core curriculum in later years (ie. high school), few schools offer programming and computer science courses, especially for young kids. So where will children encounter early childhood STEM programs and develop the skills they need to be successful? Researchers think that after-school programs and summer camps can generate a greater interest in STEM and help inspire a more prepared workforce. 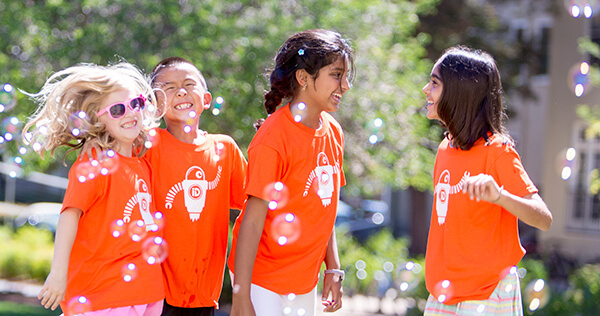 This summer our company launched iD Tech Mini, a new STEM camp for kids ages 6-9. While we had been teaching younger kids for years—our flagship summer camp is designed for kids as young as seven—we wanted to craft a new experience that specifically targeted a younger crowd. 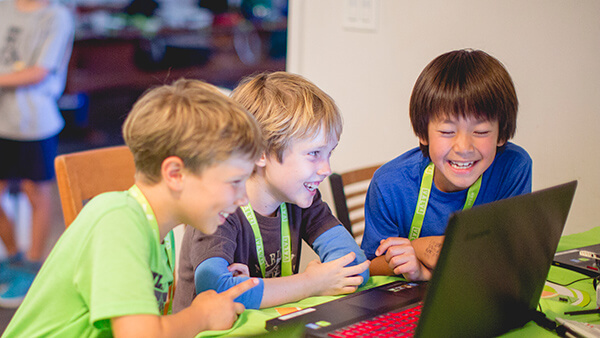 Half-day sessions let kids explore more tech topics and discover what they truly love about technology. Since many kids are experiencing STEM concepts for the first time, these shorter, more affordable sessions are a great way to test the waters. Whether kids choose courses in programming, Minecraft game design, robotics, or graphic design with Adobe Photoshop, they will learn plenty of useful skills and have a blast meeting new friends. In addition to plenty of hands-on, project-based learning, iD Tech Mini campers also have the opportunity to play with high-tech and low-tech gadgets and toys at our Maker Station. From problem solving skills to spatial reasoning, our collection of products provides just the right amount of fun and structure to create an incredible experience. Supervised play at the Maker Station is part of every iD Tech Mini course. While early childhood STEM programs could be the key to a more prepared STEM workforce, we didn’t design iD Tech Mini to be progressive in that regard. We dreamed up this program by looking through the eyes of the children around us: We thought about what they would like, and what skills would be most valuable to them over the course of their lives. We thought about what would be most fun to create. iD Tech Mini was our answer to those questions. 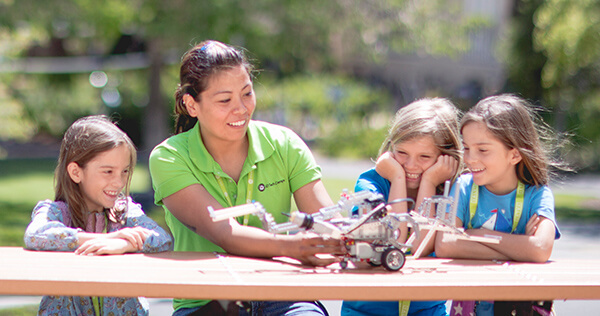 See for yourself why this fun STEM camp is inspiring kids nationwide.